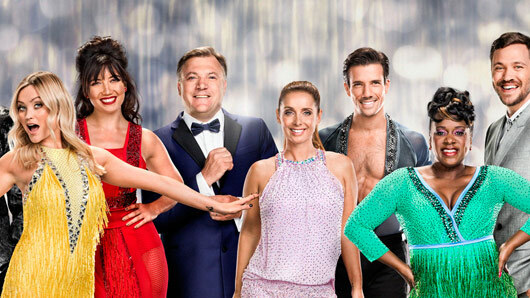 The song and dance list for this weekend’s Strictly Come Dancing has been unveiled. After last weekend’s shows did not see the departure of any contestants, this week will see the first of the fifteen celebrity contestants leave the show. The song and dance list for this weekend’s Strictly Come Dancing has been unveiled. Beware, this post contains spoilers for this weekend’s shows. Last weekend saw Strictly‘s first shows on Friday and Saturday night, in which the 15 contestants and their partners showed us exactly what they could do on the dance floor for the first time without fear of departing the competition that night. For some contestants, this was exactly what we expected (cough, Ed Balls) and for others an impressive surprise (Daisy Lowe wowed audiences and judges alike with a brilliant first dance to Nat King Cole’s “Unforgettable”). Nobody went home on the first night, but the scores will carry through to this weekend’s shows – which means the songs below will hopefully help struggling celebs boost their scores. Can Ed and Katya bring it back with their Charleston to Alma Cogan’s “The Banjo’s Back in Town”? Strictly Come Dancing continues on Saturday at 6.20pm. « Stephanie Pratt and Joey Essex: is it a fake relationship?